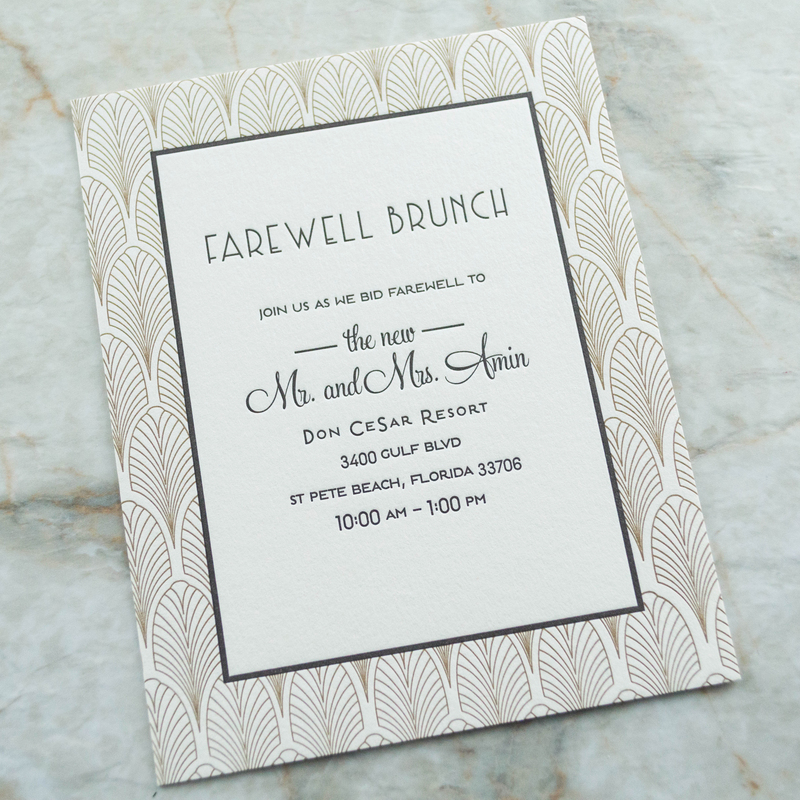 Amy & Sahil tied the knot at the Don Cesar Hotel located in St. Pete Beach overlooking the beautiful, pristine gulf beaches. 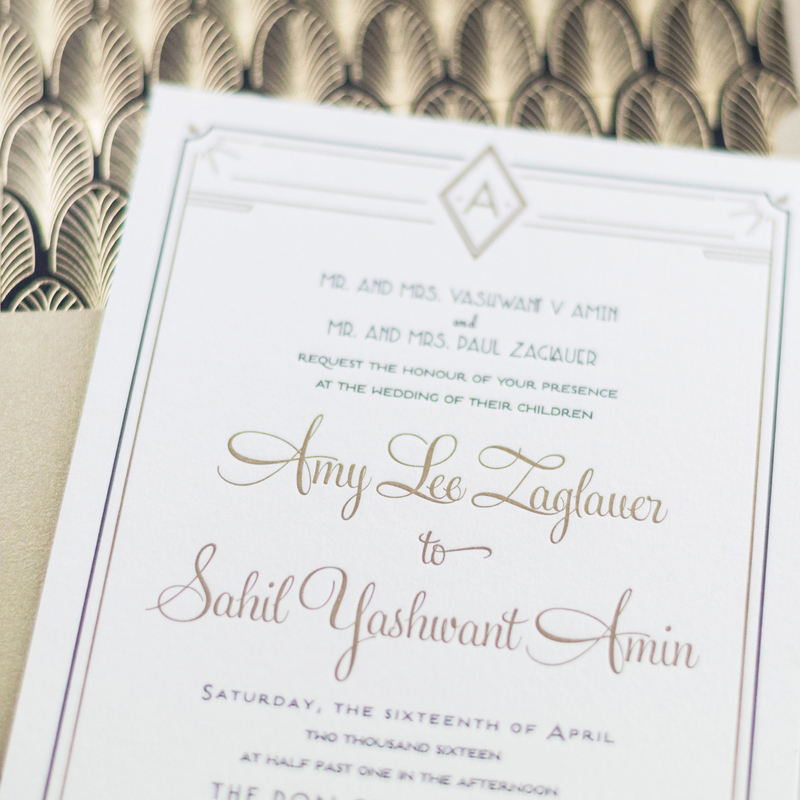 This stunning hotel opened at the height of the Gastby era, and Amy & Sahil wanted to incorporate the iconic elements of the roaring 20’s. 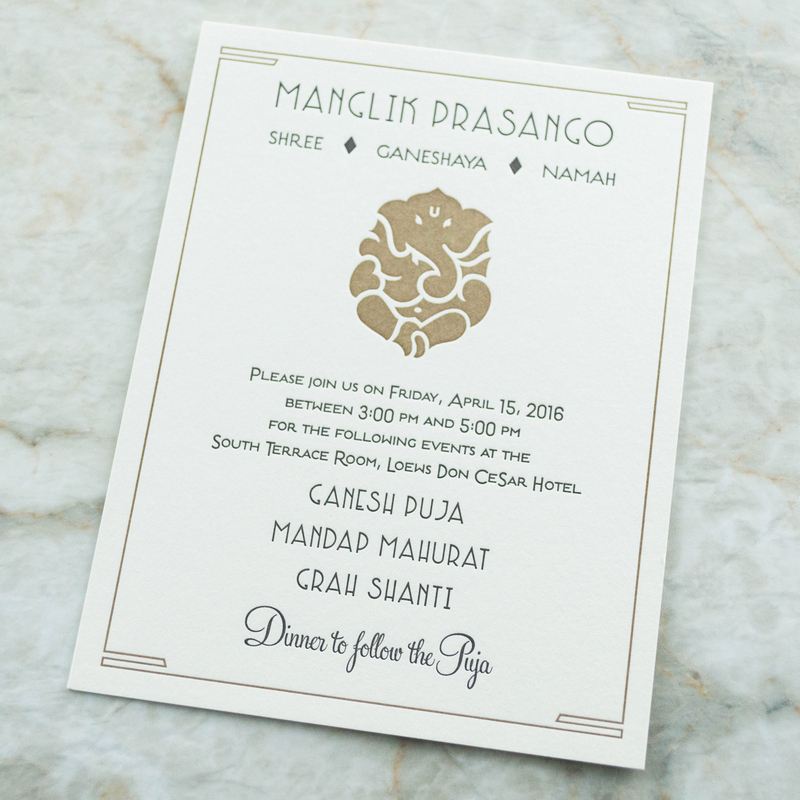 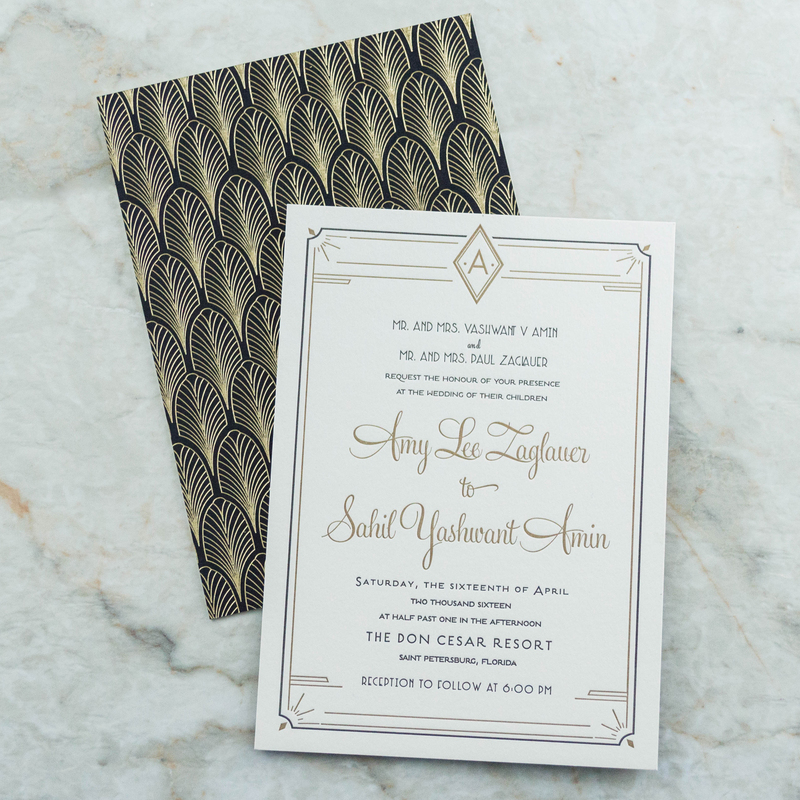 To bring their vision to life, we designed a simple, yet elegant Deco motif to display on the invitations and created an intricate patterned design for the accommodations cards. 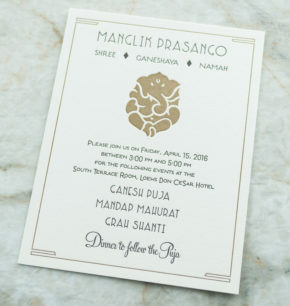 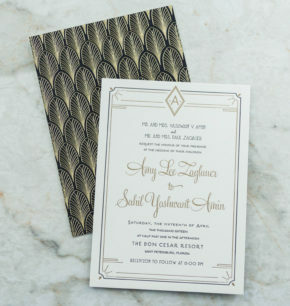 To accentuate the 1920’s look, printed the deco-pattern design in gold foil on a black paper stock and duplexed it to the back of the invitation. 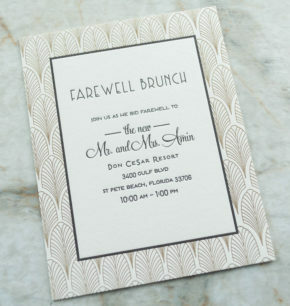 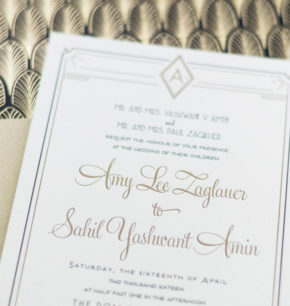 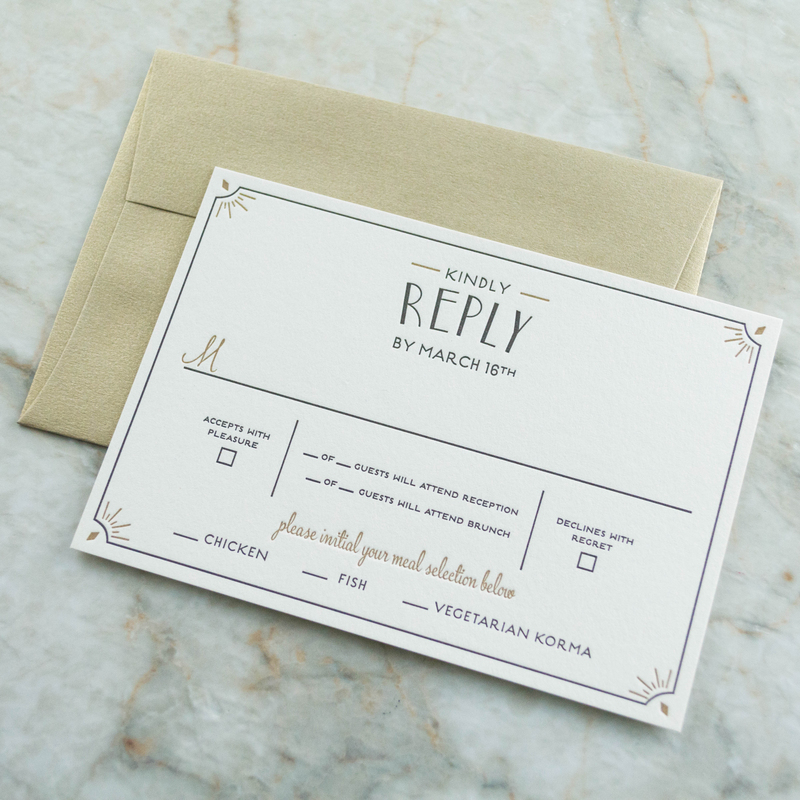 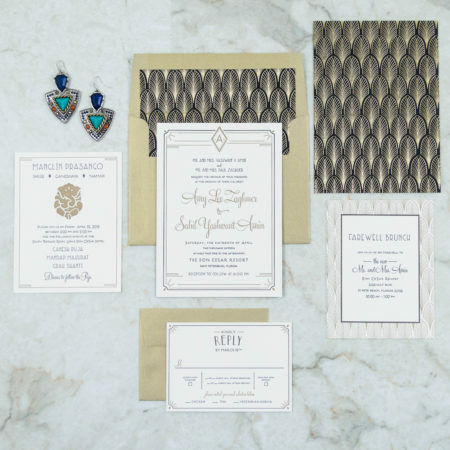 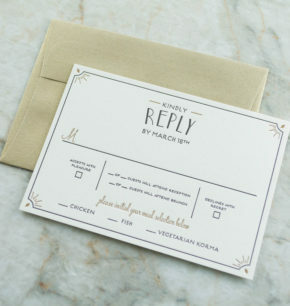 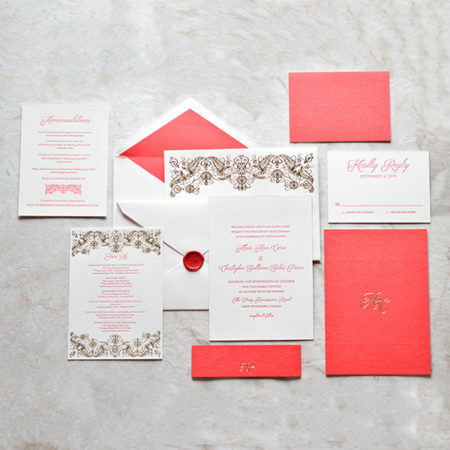 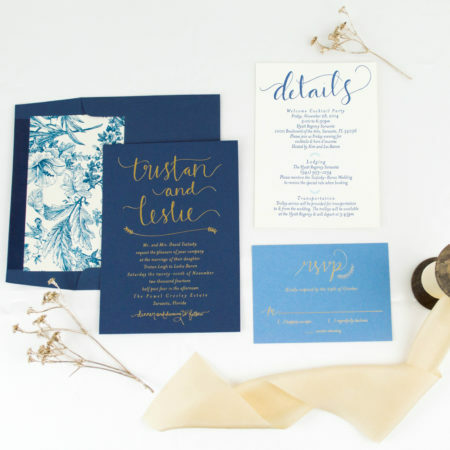 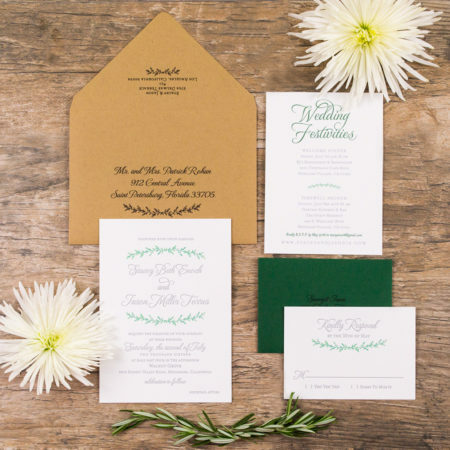 To incorporate their wedding colors, we letterpress printed each suite in black and antique gold ink, and as a finishing touch, we paired the invitations with gold-leaf envelopes and embellished each envelope with liners displaying the gold foiled Art-Deco pattern design we created.